Technology Functions As It Should? Data Is Secure and Protected From Hackers? IT Would Pass A HIPAA Audit? You’re Getting The ROI You Deserve From IT Investments? Data Breaches that result in hefty fines and penalties. Veltec Networks understands the importance optimum- functioning, secure technology. We provide this and more for our many healthcare clients in San Francisco Bay Area. We can do the same for you. Simply give us a call: (408) 849-4441, or email us info@veltecnetworks.com, and we’ll be happy to tell you more. Maintenance that prevents IT problems before they occur. A state-of-the-art, multi-layered protection to ensure your data and technology are safe from viruses and cyber criminals. 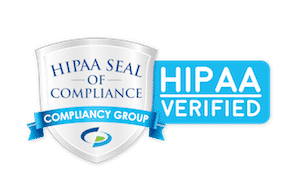 Compliance Support and Security Audits to ensure your technology meets today’s stringent, HIPAA and Meaningful Use requirements. Value-added technologies, with an ROI that exceeds your expectations. Training on your systems, hardware and software to increase your staff’s productivity. Cloud Solutions you can add or delete, so you won’t waste money on technologies you don’t need. Mobile Device Management, so your data is safe anywhere it goes. Backup and Disaster-Recovery Services so your systems and data are always accessible, no matter what. Cost savings with tech support for a predictable, fixed, monthly fee, or on a pay-as-you-go basis. Ensure your technology functions as it should, your data is secure, you comply with HIPAA and Meaningful Use, and you’re getting the value you deserve from your IT. Contact Veltec Networks at (408) 849-4441 or info@veltecnetworks.com to book a Healthcare IT Services Review.